Radical and Expressive. 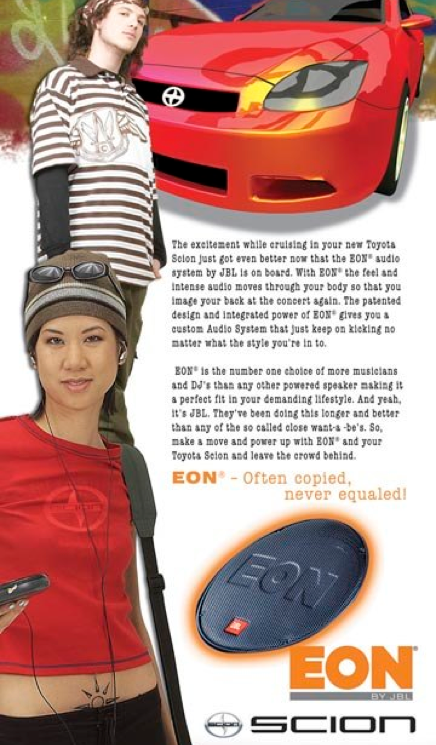 This ad, done for a supplier, features the young hip look of the Toyota Scion that features the new JBL sound system EON for the Scion. The ad needed to be young, hip and aggressive. The campaign featured a series of posters, displays and web.